The foundation has been laid and the cornerstones are in place. There is no doubt we're building something special here in Milwaukee. And as we look forward to the 2019 season, we invite you to get on board with the Crew as a Brewers Season Seat Holder. Join us as we continue to reach new heights, and be there every step of the way as we strive to bring a championship home to Wisconsin. Check out the information below to learn everything you need to know about joining the Crew with a 2019 Season Ticket Plan. Returning for the 2019 season, our SSH Rewards Program gives Brewers SSHs access to even more exclusive benefits, insider events, and one-of-a-kind experiences. Check out the complete list of Rewards below to get a taste of some of the bonuses you can enjoy as a Brewers SSH. SSH Rewards are available to accounts that purchase a ticket package of 20 or more games. Rewards have limited capacities and will be granted based upon purchase date. Sign up today for the best chance at receiving your preferred rewards! Season Seat Holders who own multiple plans will receive one set of rewards based upon the plan with the most games. Ticket Brokers (those that re-sell the majority of their tickets through the secondary market) are not eligible to participate in the SSH Rewards Program. 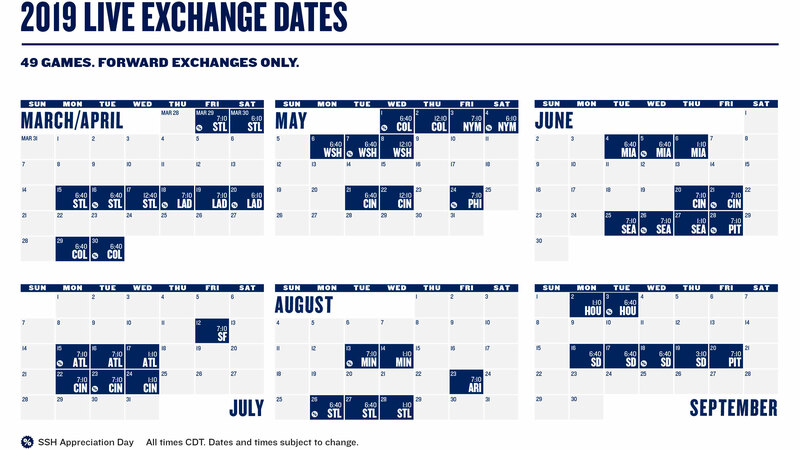 We are excited to once again offer a variety of Season Ticket Plans for the 2019 season -- including Full Season Packages, four outstanding pre-set 20-Game Plans, and the fully-customizable 20-Game Fan's Choice Plan. Check out the games included in each plan by scrolling through the information below. Ticket plans are not eligible to be purchased by ticket brokers (or anyone who represents a ticket broker). 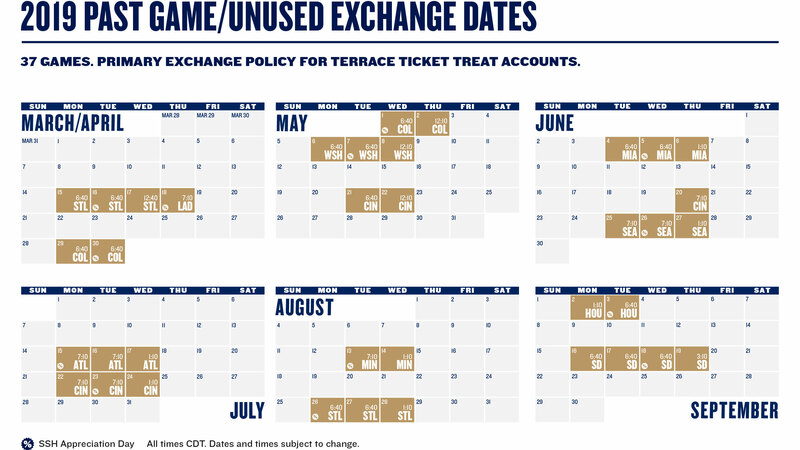 The Brewers reserve the right to cancel and refund purchases from anyone deemed as a ticket broker. Please note that all online service fees are not refundable. Lock in the best seats for every game! With a Full Season Ticket Package, you will enjoy a guaranteed seat location for all 81 home games, plus receive access to premium seating locations not available as part of other ticket packages. Lock in the best seats at the lowest prices for 20 of the Crew's biggest games this season! With our four outstanding 20-Game Fixed Plans, you'll get a guaranteed seat location for every game in your plan, plus enjoy even bigger savings off of the single-game ticket price. It's your ticket plan; pick the games you want! With our 20-Game Fan's Choice Plan, you can build your own customized plan by choosing the 20 games that fit your schedule. Build your package by selecting a minimum of 5 games from the Single/Double bucket, a maximum of 12 games from the Triple bucket, and a maximum of 3 games from the Home Run bucket.